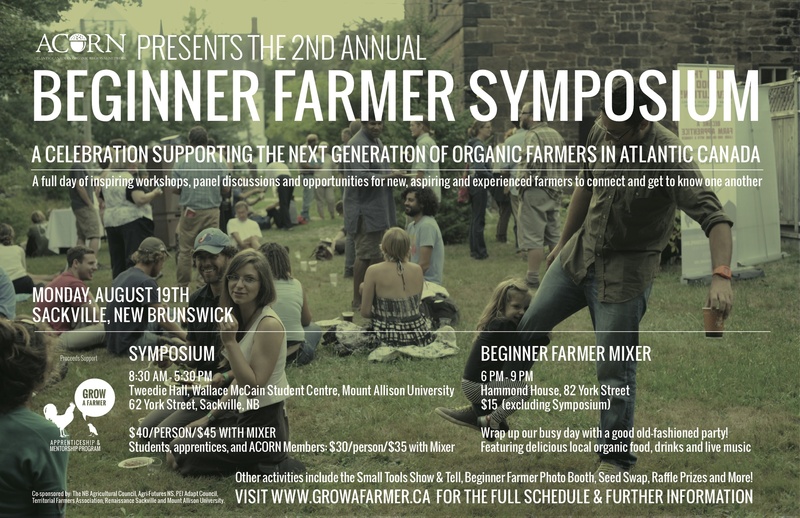 THANKS TO ALL THAT PARTICIPATED IN ACORN’S 3rd BEGINNER FARMER SYMPOSIUM + MIXER on August 19th, 2013! To view photos from the busy day, please see here. Please view the official SCHEDULE, WORKSHOP DESCRIPTIONS, and SPEAKER BIOS here!